When God calls a church planter, He normally confirms that call through the church. In a healthy local body of Christ, other members recognize and encourage each other to use their gifts for building up the body of Christ and for reaching the world with the good news about Jesus Christ. The Urban Ministry Institute offers a number of resources for helping church planters and their home churches discern an “apostolic” (or “church planting”) call. The two most important resources are the World Impact Planter Profile and Assessment (WIPPA) one-page evaluation tool and the personal assessment process a planter goes through when they participate in an Evangel School of Urban Church Planting. 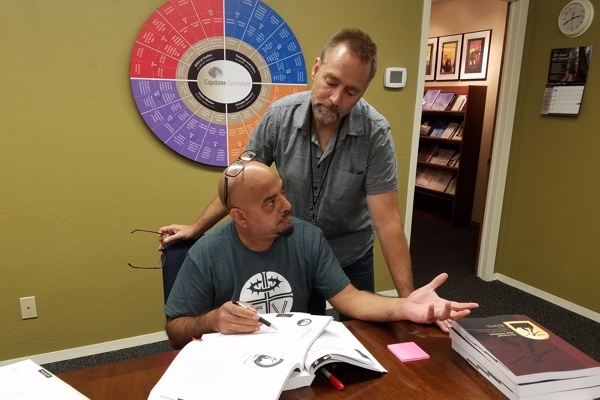 The WIPPA evaluation is a 360-review, which means it should be filled out by the church planter, the planter’s pastor, and a potential team member recruited by the planter. The Evangel School Boot Camp includes a team assessment and an application process which helps to confirm that the planter has the calling, character, and competence required of a church planter working among the poor.